What is "Yappy Hour"? Happy Hour, of course, but with your dog! Each month our staff tries to plan a fun event or contest for you Haymeadow residents, but it&apos;s not often that your 4-legged roommates get to participate, so voila! We came up with "Yappy Hour", an after work meet-up here at the leasing office with cocktails and munchies, and more! 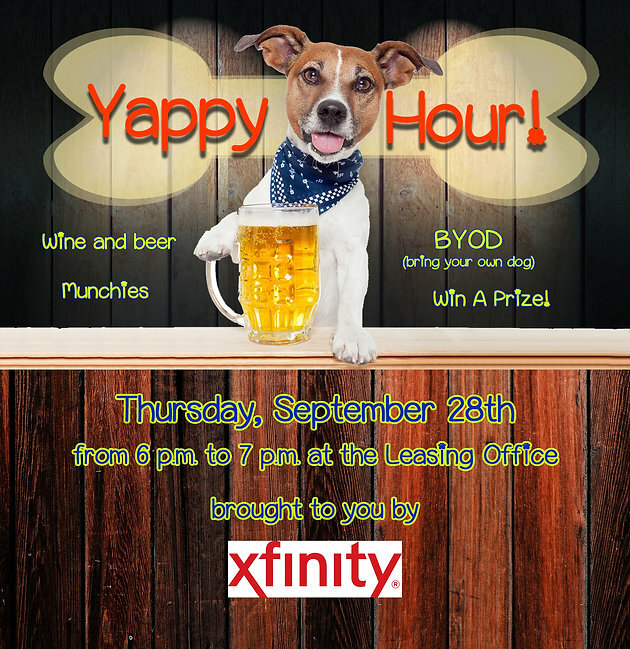 Our first "Yappy Hour" will be on Thursday, September 28th from 6 p.m. to 7 p.m. in front of our Leasing Office. Come meet your neighbors and enjoy complimentary beer and wine and munchies! We&apos;ll even have some treats for our special canine attendees! RSVP on our Facebook Page today, Facebook.com/HaymeadowApts! Plus, our friends from Xfinity will be on hand with some of their new products available to Haymeadow residents too! Find out more about X1 – Just say it and see it remote, 1 Gig Internet speeds, and New XFINITYMobile! 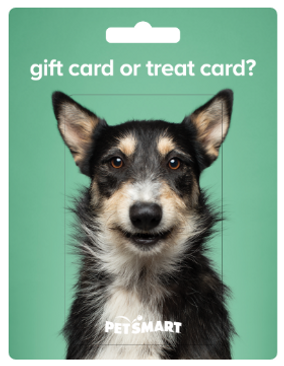 We&apos;ll even give you a chance to win a PetSmart gift card! We and your other neighbors would love to see you for Yappy Hour on Thursday, September 28th! If you can make it, please RSVP on our Facebook page. Thanks for reading and sharing!